FileOpen rights management solutions are able to display encrypted PDF files in the native Adobe Reader and Adobe Acrobat applications, by special license from Adobe Systems. This allows document authors to distribute secure PDF files in their native format and .pdf file extension, so that users can view them in the Adobe viewers they already have on their systems. Adobe Reader and Acrobat will enforce the FileOpen permissions the author has placed, without requiring additional authentications. Place enterprise-grade security on PDF files that is much stronger than the password protection offered by Adobe Acrobat. Only users you grant access can open and view protected PDFs. Set an expiration date, limit the # of opens, limit or restrict printing, place user-identifying watermarks, and more. Revoke access at any time, even after download. 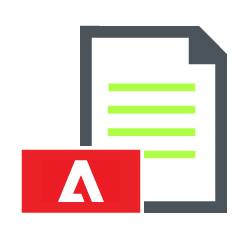 Once authenticated, your users can access your secure PDFs as they always have, inside the native Adobe viewing applications, and without additional downloads, logins, or passwords. FileOpen PDF security is licensed by Adobe Systems to operate within Adobe Reader and Adobe Acrobat (and has been since 1998). This means you can rest assured that future versions of Adobe Reader/Acrobat will work with FileOpen-protected PDFs. Expire access after a specified date or number of uses. Stop copying or saving (of file and of contents). Prevent or limit printing to # of prints or device. Overlay user-identifying data on digital or printed documents. Enable time-limited access for airplane mode etc. Learn how you can secure PDF files with RightsManager, RightsServer or our Developer Toolkit.